Tempest is long running and world renowned Celtic rock band, the creation of Norwegian Lief Sorbye who sings lead and plays electric mandolin. They are regular guests at the Philadelphia Folk Festival, nor far from Dangerdog headquarters. If I counted correctly, The Tracks We Leave is their twelfth album, the first platter of new music in five years. Nope, this music is not necessarily my thing. But I do know when it's done well. And Tempest are masters at their craft. Their knowledge of the genre goes beyond the norm by adding and combining Celtic with other world music, from Scottish to Norwegian, and in between. Their song composition in their chosen genre is accurate; their musicianship executed with skill and energy. Proper amounts of fiddle, mandolin, and other essential folk element rise eloquently in every song. While the Celtic/folk element is the glue that holds the songs together, Tempest will throw in some melodic rock and groove. It's not large, pervasive, and certainly not overshadowing the core sound. But Vagabonds and Surfing to Mecca add some deliberate rock spice to the folk flair. Otherwise, Tempest's music turns on the latter, and it's very good, regardless of my ambivalence. But I suspect that if you're a fan of Celtic folk rock, you know about Tempest and have buying this album in your sights already. 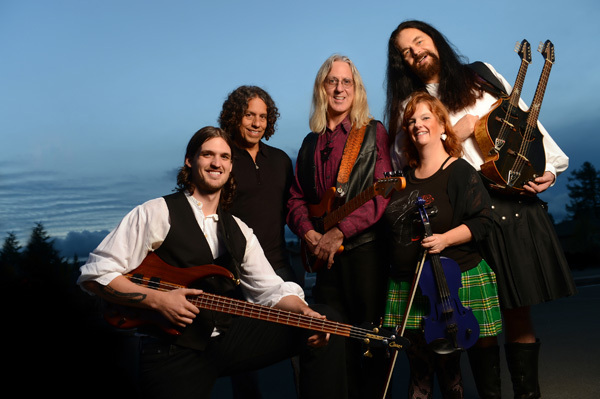 Though certainly not my first choice in music, Tempest are masters of the melodic Celtic folk rock genre. If that's your thing, then you'll want to check out Tracks We Leave.